In April 17's Roseanne, Johnny Galecki returned to to reprise his role as David Healy and the nostalgia was at an all-time high. The Big Bang Theory actor made quite the entrance as he knocked on Darlene's (Sara Gilbert) window outside the Conner home. Hilarity ensued when he and Darlene danced around old habits, but ultimately agreed it's better if they remained friends versus being a couple. Plus, sweet moments between stars Sara Gilbert and Johnny Galecki. While fans' hopes for a reconciliation between the pair were dashed, David's announcement that he'd be moving to Lanford gives hope that he may be back on the comedy series soon. We knew Galecki's guest spot on the first season of the revival wasn't going to extend past one episode, but Roseanne's recent renewal makes it more likely he's not gone for good. The storyline certainly allowed for such a return, because apart from David's move to Lanford, it appears that David has either not seen his son Mark (Ames McNamara) since he was a baby or never met him at all. "What's Mark like?" asked David. "He's really artistic, very sweet, like you. And he likes to wear dresses. So now you're all caught up," Darlene answered. With a truth bomb like this, there's plenty more to explore. And it's clear that many fans are hoping for just that. Also fans can look forward to a Darlene-David reunion soon. See what some of them had to say about David's return to Roseanne, and let us know what you think in the poll below! I just think Johnny Galecki should quit the Big Bang Theory and be on Roseanne all the time. So glad to see Johnny Galecki on the show tonight! It really is like old times. ANOTHER great show! Quinn, who played Mark Healy, passed away in 2002. Love The Big Bang Theory but it's time for that show to end (honestly how much longer can it go on for?) 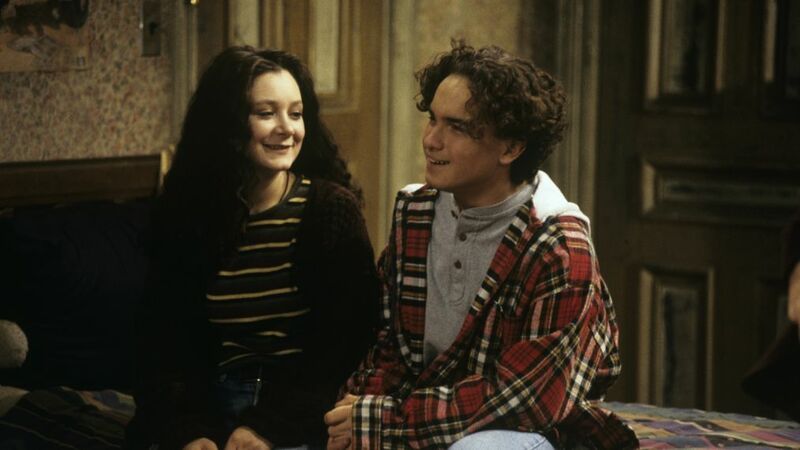 and for Johnny Galecki to return to #Roseanne David and Darlene belong together! The ABC revival doesn't shy away from much. I wonder if Johnny Galecki will transition back to #roseanne when big bang ends?